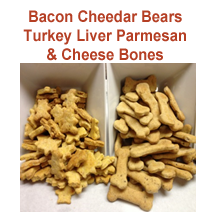 Everyone wants their best friend to understand how much we care about them, and the quickest way to your pup’s heart is through their stomach. 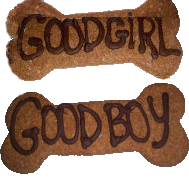 Gina’s gourmet flavored pet treats (Cheddar Cheese, Blueberries, Peanut Butter) are a great way to treat your four legged friend after a run, or reward that special trick, on their birthday celebration, or whenever! 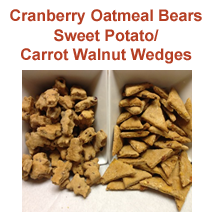 “Natural Gourmet Pet Treats” create for your loved ones, a hug in every bite. Natural ingredients, no salt or sugars used. 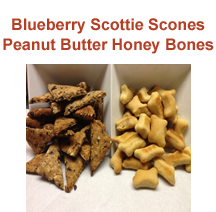 Pet treats are people-friendly. Gina’s Bake Shop is the host of Sandi Paws Pet & People Walk-a-thon Pet Parade at Marina Square Downtown Fort Pierce, which is held annually each September, the Saturday after Labor day. HOWEVER… This year’s date is November 9th, 2019 (rain or shine) from 3:00 – 7:00 pm at the Marina Square in downtown Ft. Pierce.